Saturday, May 4th, 2019 at 10:00a.m. Directions: : From US-63, take the MO EE exit. Go west on Rollins St then turn right on W Outer Rd. Continue approximately 1 mile and turn left on Sinnock Spur and then left onto Sinnock Ave. Take the next right onto Gillan Rd and continue to auction. Watch for signs day of sale. Auctioneer’s Note: Due to a reorganization of their business, RoofTop Antiques will be selling the vast majority of their inventory at auction. RoofTop Antiques is located in Moberly, MO where Tony and Tami Beaverson have spent many years and traveled many miles searching for lost treasures. 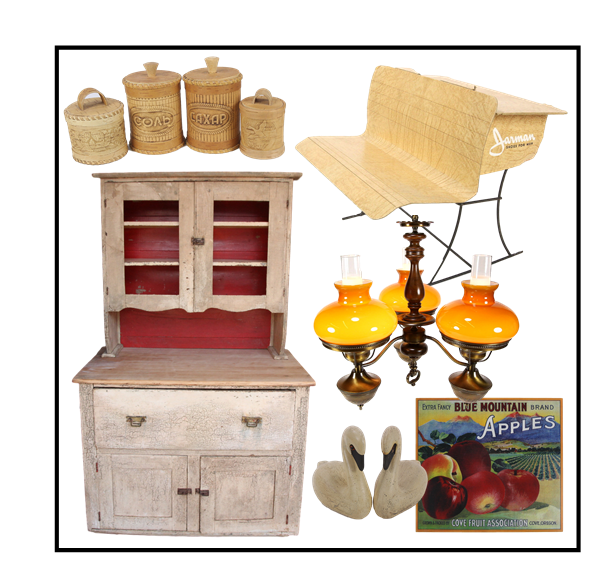 This is the second of two auctions and features a variety of antiques and collectible as well as furniture and other utility items used by the business. Please plan to attend.